When I was out walking my dog in the woods last weekend, I noticed how the whole forest seemed to be turning from green to grey-brown. The colours of Summer looked like they were being washed away, from the sky downwards. However, as I placed my attention on the ground, keen to see how all the mushrooms were getting on, my eyes were greeted by the vibrant green of moist, healthy ferns. It looked like the ferns were spreading themselves out in preparation for the imminent Autumn cooling ~ as if they were making some kind of promise to the forest floor to keep it warm. 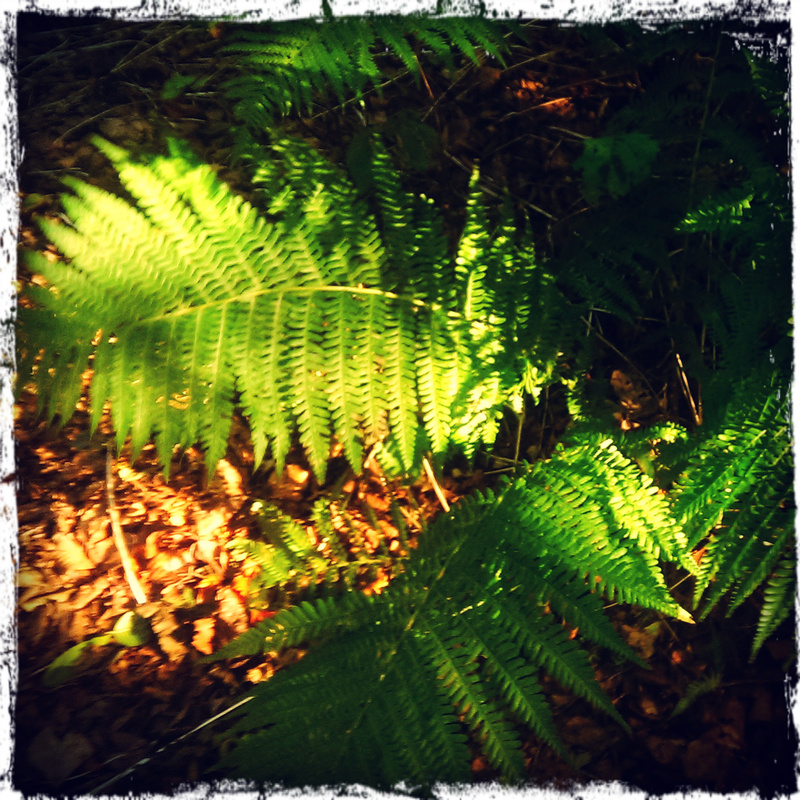 Since my walk, I’ve discovered that many varieties of fern are evergreen. They seem to be the unsung heroes of many gardens, woodland areas, hillsides and parks. They are very undemanding, very colourful (even when everything else is fading), and they thrive in shady and damp areas. I’ve tried to capture the essence of the fern in today’s haiku, which you can read here. I also read it out loud on today’s video-blog.